A five frame is a way to visually organize a set of objects. Five frames are used to teach children a visual image for a number in the range of 1-5 in Kindergarten classrooms by showing students how to create images of numbers. Students are asked different questions about what they see when they are shown the frame quickly, for 1-2 seconds. Questions such as "How many ghosts did you see?" or "How many empty boxes?" require a student to have a quick image of the number they saw. Asking questions such as "How many more ghosts do you need to make 5?" requires them to know their facts to five, and to be able to combine two numbers to make a new number. 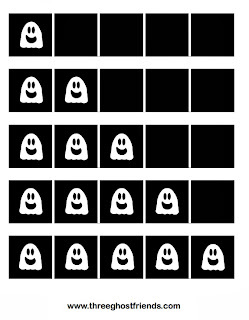 Five frames with the ghosts provide another setting for your child or students to practice their understanding of five frames. Five frames in black and white are included in the packet. Quickly show and hide the five frame to your child. Ask "How many ghosts did you see? "and "How many empty squares?" and "How many more do you need to make five?" Don't be afraid to mix up your questioning throughout the exercise. "Making Five" (five frames with combination to 5) are also included in the packet. "How many red ghosts?" 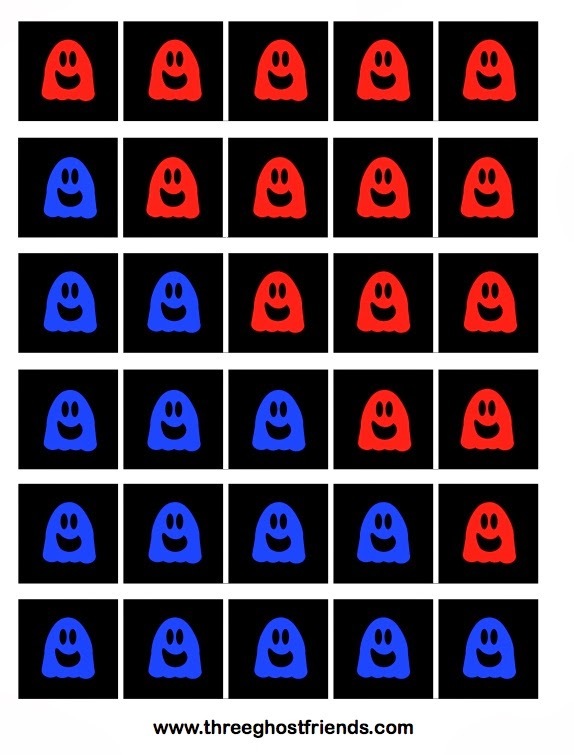 and "How many blue ghosts" and "How many all together?" Then, have students say a sentence like, "1 and 4 make 5." or "3 and 2 make 5." "Parts of five" (five frames with totals of 1-4) are also included in the packet. "How many red ghosts?" 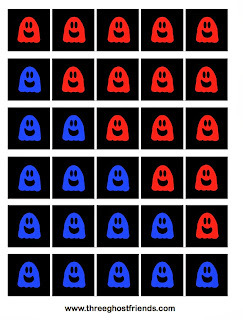 and "How many blue ghosts" and "How many all together?" Click to Download the Packet! 1. Download and print the ghost five frame printables. 2. Cut each five frame into a single frame. 3. Glue single frames on a construction paper or card stock to make more sturdy. 3. Make a pile of the five frames in random order. 4. Sitting across from your chid or student, quickly show them the image of the five frame by flashing it to them. Ask them a variety of questions, including "How many ghosts did you see? ", "How many were empty? ", "How many all together? ", "How many more to make five? 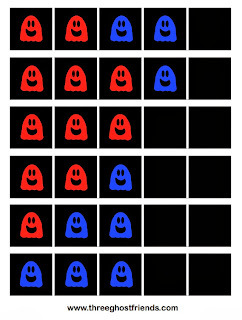 ", "How many blue ghosts? 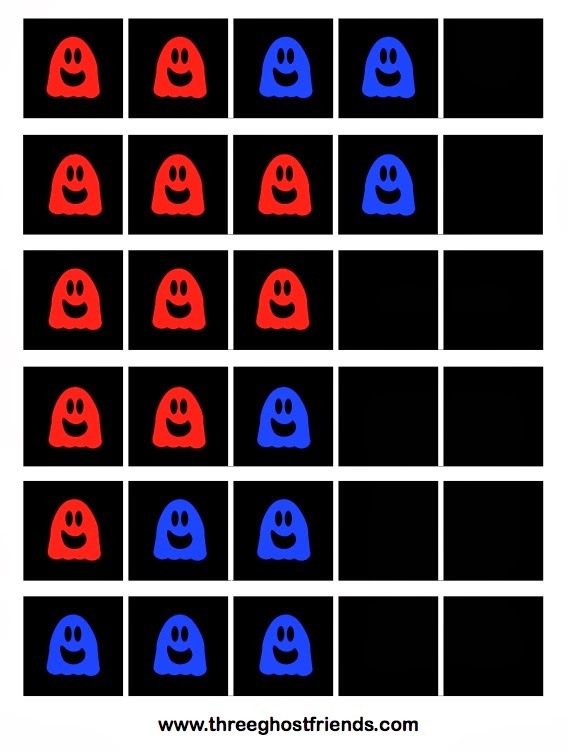 ", "How many red ghosts?" 5. 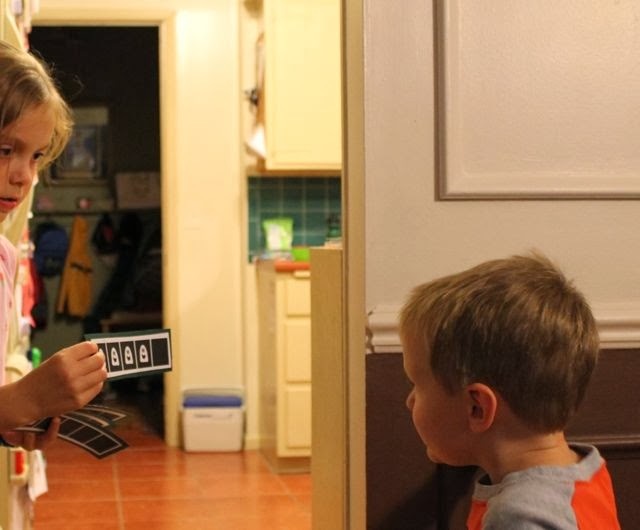 Practice these five frames until your child/student can answer all the questions about the cards automatically without counting or having to see the boxes again to check their answers. My third grade daughter working with her three-year-old brother on five frames. Have your children mastered FIVE FRAMES? 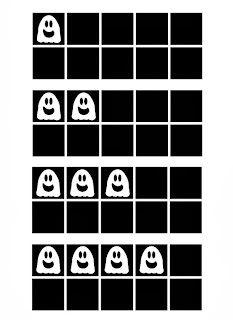 Check out Three Ghost Friends TEN FRAMES! !